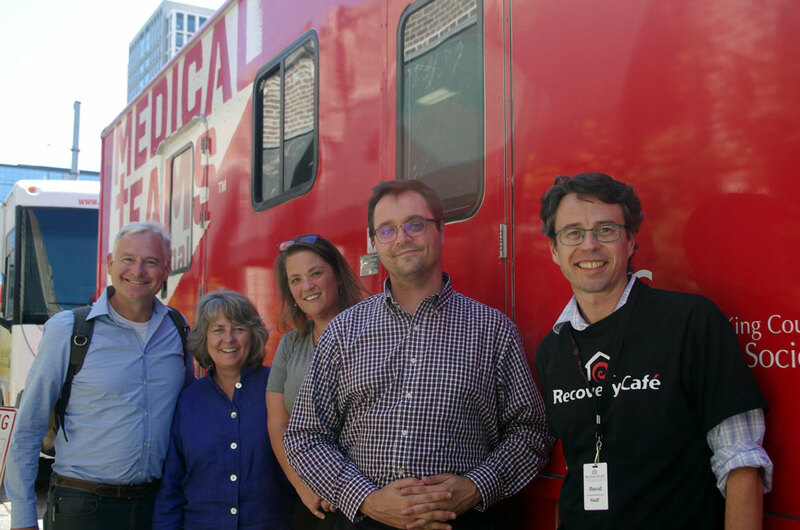 Recovery Café was recently awarded a grant from King County’s Department of Public Health to help increase people’s access to health services. Currently Medical Teams International (MTI) sends their mobile dental van to Recovery Café once a month. The need is always greater than the available appointments. With this grant, we hope to partner with MTI to send the van twice a month. A critical way for this to happen is to connect with dentists, dental hygienists and dental assistants who would be willing to volunteer their time on a weekday. If you are one or know of someone who might be willing to serve in this way we would love to connect with you or them. Tiffany Siminski is the lead for Medical Teams International for this endeavor and she can be reached at tsiminski@medicalteams.org or at 425-284-1958. Thank you!